Your plans for landscape lighting most likely include a lot of light bulbs. After all, you really want your yard to glow. Which kind of lighting should you choose, though? There are a couple of different options out there, the most common being incandescent bulbs (old-school light bulbs), CFLs (florescent lights), and LED lighting. Of the three, LED bulbs are quickly becoming the most popular way to light residential, commercial, and industrial spaces in general, and they also have benefits specific to outdoor and landscape lighting. Below are just some of the reasons you should consider LED lighting. 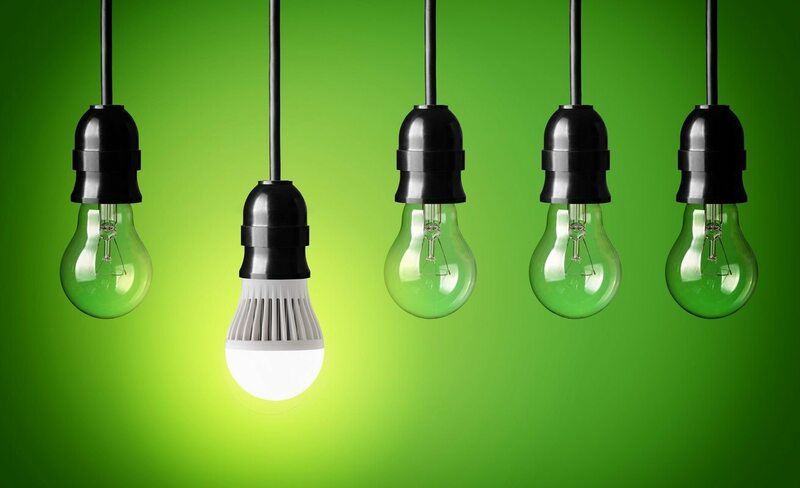 Energy Efficiency: This is often the most popular benefit of LED lights. We’re all looking for ways to be energy efficient, and switching your lighting from incandescent or CFL lights to LED is one of the best ways to reduce your carbon footprint. In raw numbers, LED bulbs emit up to 75% less energy than traditional lighting and last 25 times longer. Even better, energy professionals have seen LED efficiency rise steadily over the past few years, making it one of the most sustainable and exciting options for our future. Cost to Operate: Landscape lighting tends to cover a big area. This can get costly fast, but with LED lights you don’t have to see a huge increase in your energy bill. Even though individual LED bulbs are more expensive than traditional lighting, they’re actually more cost-efficient to operate and maintain. This is because incandescent bulbs must be constantly replaced, which causes costs to add up over time. 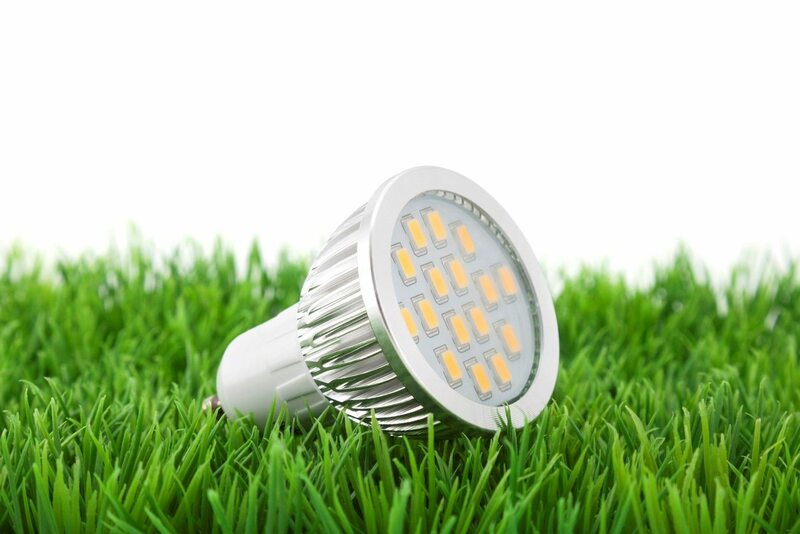 Moreover, as LED lights become more popular and manufacturing technologies increase in efficiency, the prices for LED bulbs are actually dropping. In other words, the longer you stick with LED lights, the more money you’ll save. 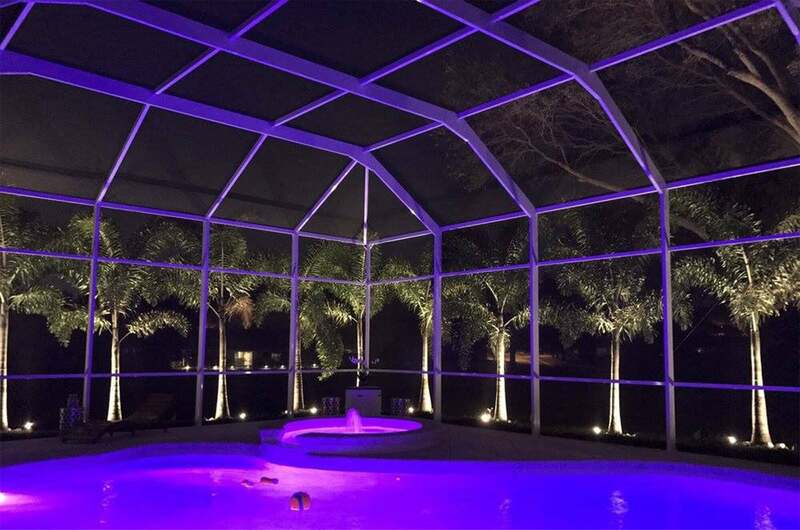 Because of this, LED landscape lighting is likely to increase the property value of your home. Safety: While landscape lighting professionals try to place your lights strategically throughout the yard and most lights are probably going to be at the perimeter, it is possible that your children or a family pet will come into contact with these lights while playing. When it comes to traditional lighting, this could mean bad news: a majority (up to 90%) of the energy emitted by CFLs or incandescent bulbs is emitted in the form of heat. Ouch. In contrast, LED bulbs emit very little heat, making them a safer option for your property. 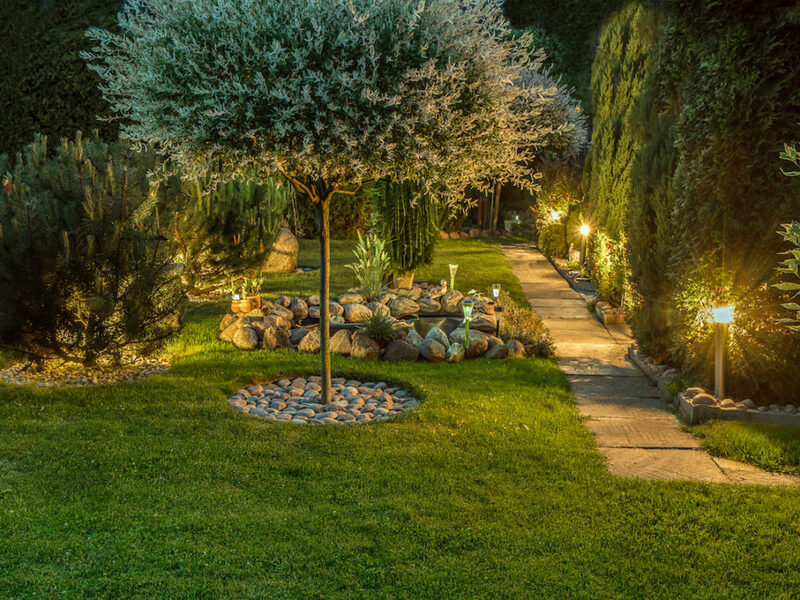 Design: One of the strategies behind landscape lighting to illuminate specific pathways, plants, or other features to improve your outdoor space. LEDs send their light in one specific direction and are easier to control. 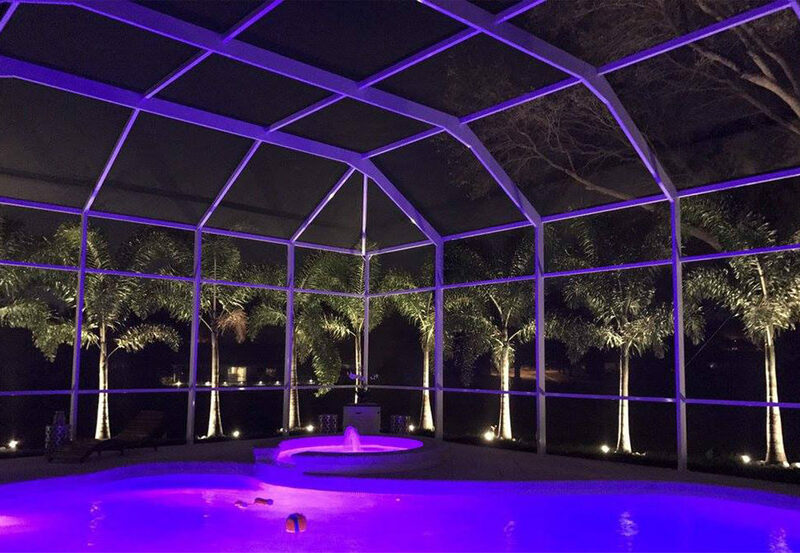 Due to this, LED lights are more efficient in giving your landscape the beautiful illumination that you have always pictured. Unlike other forms of lighting, they don’t require reflectors or other devices to focus the light in a desired direction. LED lighting isn’t for everyone, but with all of these benefits, you may want to consider making the switch. Worried about the upfront costs of more expensive LED bulbs? 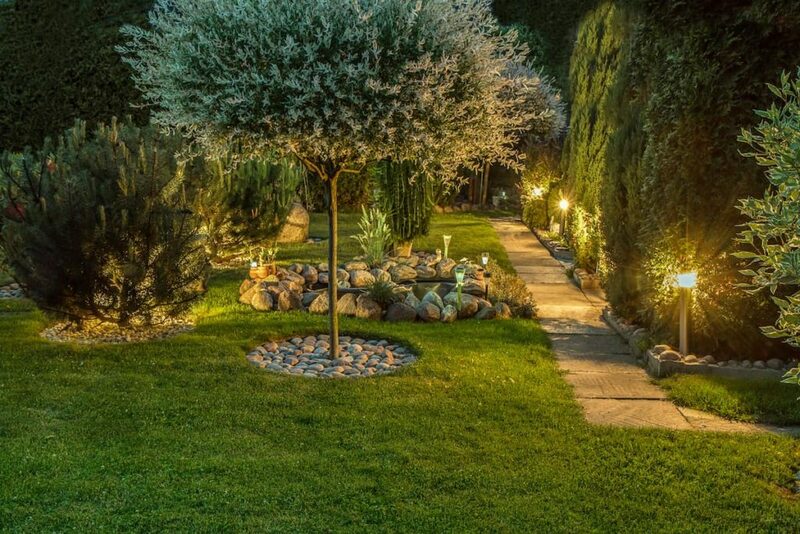 Reach out to us today to set up a consultation where we can go over different options that may be appropriate for you and discuss short- and long-term costs associated with landscape lighting before you make any decision.